Ashora’a Al-Hussain , the 10th day of Muharram ( ) is the first month of the Islamic calendar. It is one of the four sacred months of the year , Since the Islamic calendar is a lunar calendar, Muharram from year to year moveing when compared with the Gregorian calendar. 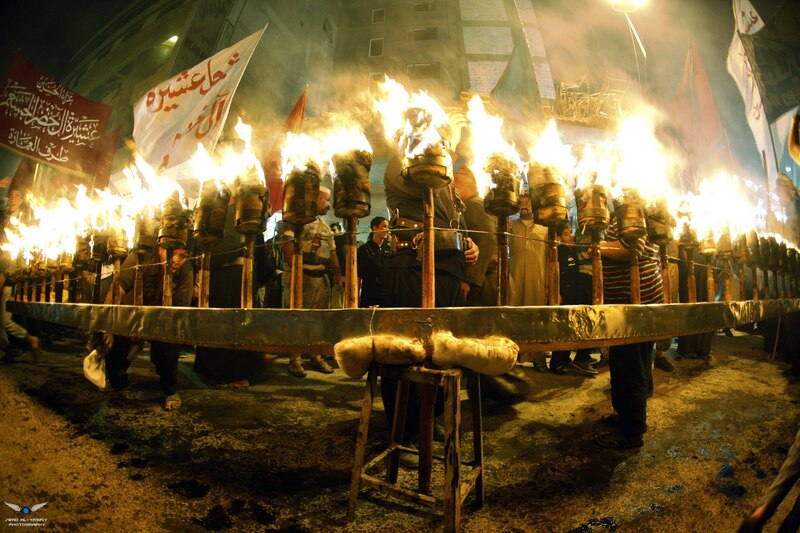 Ashura , which literally means the “Tenth” in Arabic, refers to the tenth day of Muharram. It is well-known because of historical significance and mourning for the martyrdom of Hussein ibn Ali, the grandson of Muhammad. Shias start the mourning from the 1st night of Muharram and continue for two months and eight days. However the last days are the most important since these were the days where Hussein and his family and followers (consisting of 72 people, including women, children and aged people – Ahl al-Bayt) were killed by army of ( Yazid ) at the Battle of Karbala (al-taff) on his orders. Surviving members of the family of Hussein and that of his followers were taken captive and marched to Damascus and imprisoned there.